Flexible Solutions for Piano Lessons in Manchester at MusicTutors.co.uk! For many, the piano is the gateway into a lifelong musical journey. It is recommended that all musicians learn at least a bit of piano and therefore takes some piano lessons, or perhaps have piano as a second instrument. It can be really helpful as a tool for instrumentalists to get a better grasp on music theory as all the notes are laid out in front of you-you can easily see how triads, scales and different inversions are made up. Piano teachers are able to express these theoretical patterns simply and clearly in piano lessons thanks to the clear visual layout of the piano. In addition, the piano gives you endless musical possibilities as you can play chords and melodies at the same time. This means the piano sounds fantastic on its own, as well as accompanying others. Also, the piano is used widely in a huge array of genres. It's truly a universal instrument. What we highly recommend, however, is you find the right piano tutor to take piano lessons with. We think we have assembled the best team of piano teachers in the country. Book today for 50% off your first piano lesson. A third is so called because it is the third tone up from the tonic. The third is the note that colours the chord - if the third is flat, this makes the chord minor, for example. A fifth is so called as it is the fifth tone up from the tonic. Piano lessons are the perfect way of improving your knowledge of scales and the theoretical building blocks of music. Just find the right piano teacher and soon you'll be able to play different types of scales, arpeggios and chords. If we start on the first chord - C. Take C as number 1, then try placing 3 and 5. If we count from CC 1, D 2, E 3, F 4, G 5. So E is our third, and G is our fifth. Play 1 + 3 + 5 to hear the C major chord. Now if you change the third so it's E flat (Eb), we hear C minor. You can practise this for the other chords too - start by playing the tonic and the fifth and then try the minor and major thirds. See if you can hear the difference! Learning to play the piano means that over time you will build up a good knowledge of theory and harmony. Having a great piano teacher for your piano lessons makes this part of learning to play the piano a joy and not a nightmare as some people going it alone can find it! 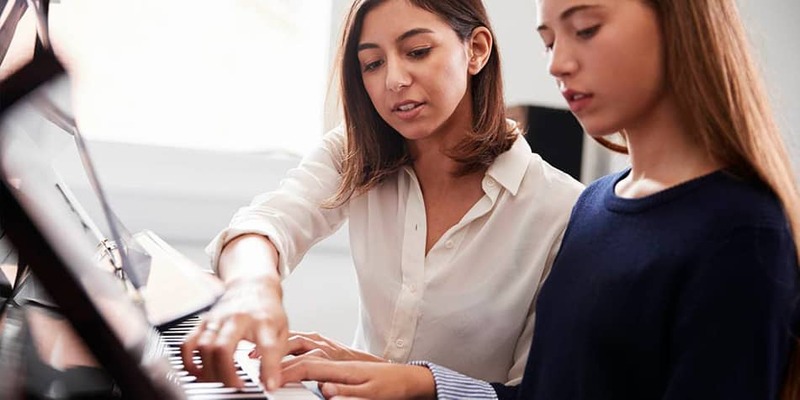 Many of our piano teachers also offer stand alone theory classes to help musicians of any instrument and level learn more about the building blocks of music. 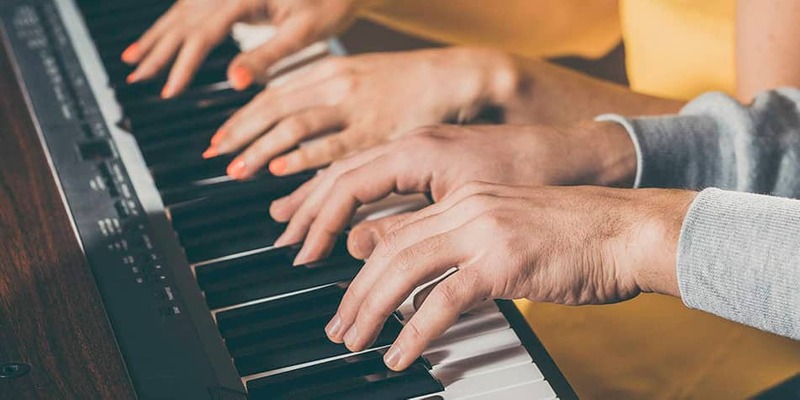 Once in a while, consider taking a theory lesson with your piano teacher instead of or as well as regular piano lessons to make sure you develop all aspects of musicianship. If you're struggling to find the third and fifth in your piano lessons, you can always count your way towards it. Your piano tutor will show you how! Start by playing the tonic, then count four semi notes from there (that's four keys - including black ones! ), not counting the tonic, and then you have the third! From the third, count three semitones (not counting the third), and there's your fifth! Your piano tutor will be able to illustrate this for you in a variety of different keys and inversions in your piano lessons. So 4 + 3 = major. If you want to find the minor third, just count three semi notes from the tonic, then count four semi notes from the minor third and you have your fifth. So 3 + 4 = minor! Learning to play the piano is as much about the ears as it is the hands. 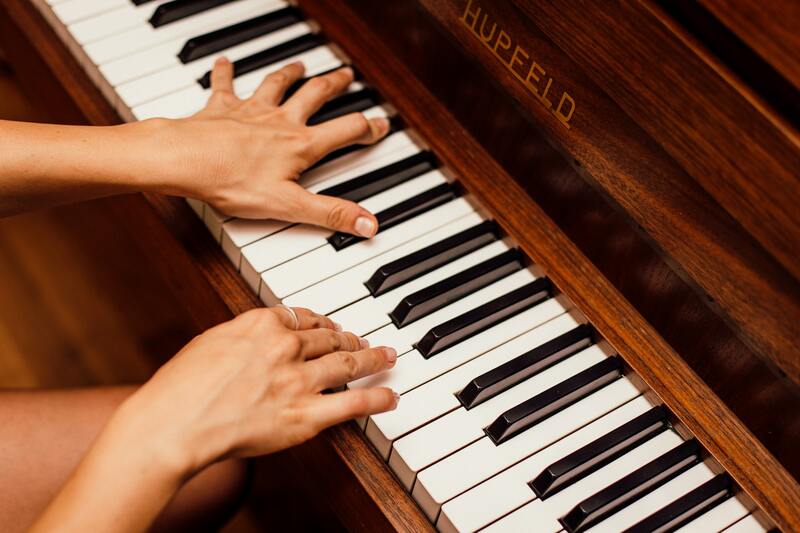 Your piano teacher will be be able to train your musical ear in your piano lessons to be able to recognize the difference between major and minor chords. It's another great thing about learning to play the piano, suddenly you'll find yourself listening to your favourite pieces of music with a new appreciation for the layers of harmony within them. Get in touch today to find the right piano teacher for you and just start playing! Piano lessons can be tailored towards your favourite pieces of music - it makes taking piano lessons a very enjoyable activity! Your piano tutor should do all they can to make your piano lessons based around what and how you want to learn!